College basketball is in full bloom right now as teams race to find victories heading into March. This means college pep bands are also at the front of our minds. 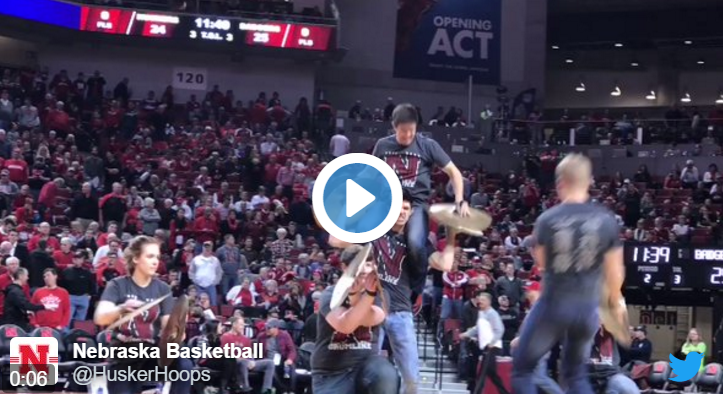 Last night the Nebraska Basketball account captured the UNL Bands cymbal section going wild at an on court performance. Great to see the official athletics account recognize the band.